A bill that would cut the welfare payments for first-time applicants is an attack on Quebec’s most vulnerable people, a coalition of 20 social groups say. A bill that would cut the welfare payments for first-time applicants is an attack on Quebec's most vulnerable people, a coalition of 20 social groups say. Bill 70, introduced by Labour Minister Sam Hamad, is meant to encourage people on social aid to enlist in programs to find a job or get more training. If they refuse, their monthly cheque of $623 could be reduced. The Coalition Objectif Dignité says there are several reasons some welfare applicants are unable to work. 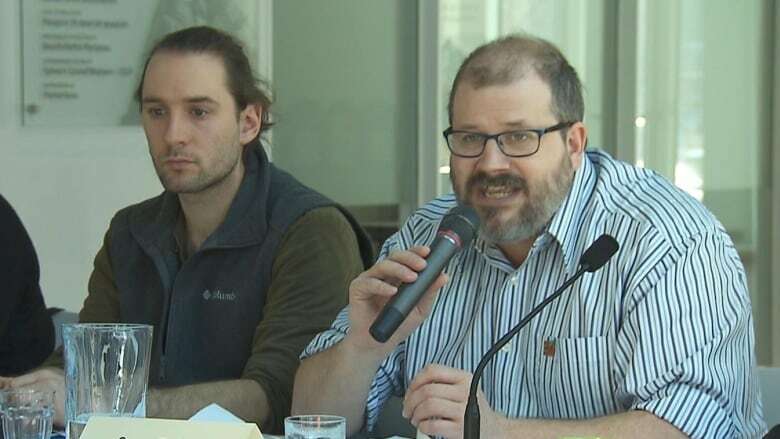 "It could be psychological problems, if they're abused when they're a child, if they just came from a youth centre, if they need more time to organize themselves," said Yann Tremblay-Marcotte of the coalition. "The vast majority of people on welfare are trying to get a job, but they are really facing many things that make it very difficult for them to find a job, and it's our responsibility as a society to help them." It's an argument Hamad doesn't agree with. His bill, which he says would save the government $50 million a year, would not allow people on welfare to refuse a "suitable" job if it's offered to them. The coalition argues the minister shouldn't look to the province's poorest people to try to save money. The effects of the bill could be disastrous, they claim. "Maybe they will live on the street, go to prison, stuff like that. We really want to prevent that," Tremblay-Marcotte said. Consultation on Bill 70 begins Wednesday, while a protest is planned in Quebec City for the same time.